STEMPLOY LLC, a women-owned small business registered in WV, works with industry, professional organizations, educational institutions, policy establishments, and the government to establish connections in Science, Technology, Engineering and Math (STEM) fields to provide opportunities for professional growth. By facilitating educational workshops, building career-awareness relationships, offering internships and job placement, STEMPLOY will employ more skills in STEM fields of study. Focusing on the need for more women to gain interest and pursue a STEM career, STEMPLOY strives to promote gender equality and diversity in STEM fields. “We also have plans to set up special programs aimed at addressing the needs of parents for after-school care and using that opportunity to help students achieve in STEM subjects,” said Lynn Dombrowski, founder of STEMPLOY. STEMPLOY’s mission is to launch the A-STEM Academy and establish a state-of-the-art learning center for pre-school and K-12 students aimed at strengthening STEM education by: 1) Offering an out-of-school STEMrichment center and after school learning academy for all students; 2) Improving the quality and quantity of K-12 programs for science and mathematics; 3) Providing strong experiences in science and mathematics for all K-12 students while increasing the number of graduates pursuing careers in STEM disciplines; 4) Creating a supportive environment for multidisciplinary research, evaluation, and assessment while bridging the gap between industry, educators, and STEM professionals; and 5) Encouraging community engagement that leads to increased university partnerships with school districts, business and industry, and the community. “The vision for the A-STEM Academy is to establish a hands-on learning center that addresses the needs for increased career awareness education in STEM fields by collaborating with industry, educators, Universities, and parents/students to offer advanced learning,” Dombrowski added. Curriculum designed and developed for the Academy will focus on core standards for Math and Science in addition to assessments for measuring performance of educational research. The long-term educational focus is to lead to best practices that benefit the science and mathematics fields at all levels. To reach this goal, STEMPLOY currently offers out-of-school A-STEM-focused learning programs and summer camps geared towards elementary and middle school students. A series of summer programs, the A-STEM of Mind and A-STEM for Life Programs are designed to enrich student learning. 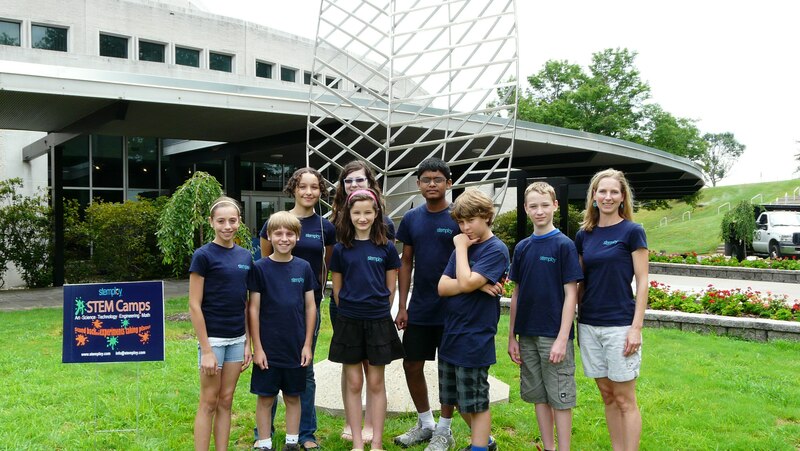 These programs include hands-on workshops, summer camps, and curriculum for facilitators and middle school students in STEM as an art-driven educational technology platform (A-STEM=Art-infused STEM). By incorporating art and preserving a child’s innate sense of curiosity and wonder, STEMPLOY strives to foster active and involved life-long STEM learners. Fundamentals of art are incorporated into curriculum that enable teachers to engage students, provide relevance, and innovate STEM learning, thus allowing students to absorb deeper concepts and vital competencies of common core standards. Based on previous research, an alarmingly high percentage of girls lose interest in STEM subjects early in their development. Targeting underrepresented elementary and middle school girls will increase chances for hands-on, collaborative learning experiences that address the gender participation gap in STEM. “We also partnered recently with the WV Manufacturing Extension Partnership based in WVU’s Statler College of Engineering and Mineral Resources to allow students opportunities to meet with Industry and learn first-hand the types of jobs available in science, technology, engineering and math fields,” Dombrowski added. STEMPLOY organized tours to manufacturers’ sites to demonstrate the exciting careers available to students. Manufacturing Day impacted many students from Monongalia County that participated in this very beneficial STEM related program. 140 fourth grade students from North Elementary visited FCX Systems in Morgantown, WV and another group of 25 eighth grade students from Suncrest Middle School toured Azimuth Inc., in Fairmont, WV. In addition, classroom presentations on manufacturing were also offered to more than 150 eighth grade students in the existing career-awareness classes. 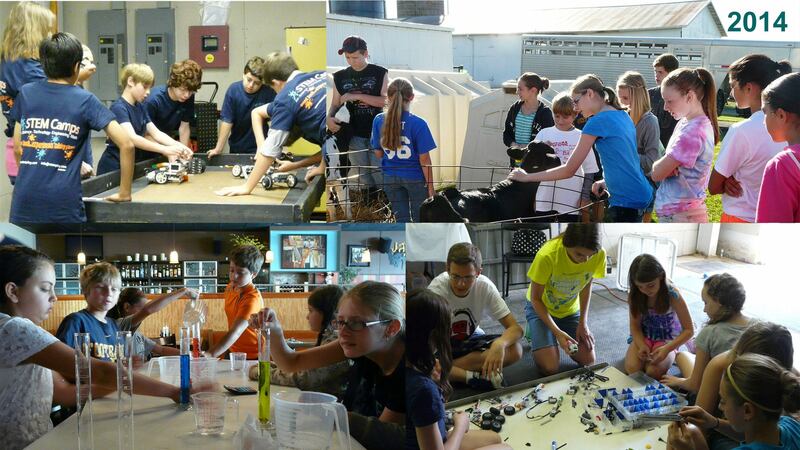 The A-STEM summer programs offered in 2013 included: Techno-Robots teaching students how to design, test hypothesis through experimentation, collaborate in groups, and record results. Integrating robotics technology with specific science and math units motivates students to learn these concepts at the same time; Physics of Music to educate students about the math, physics and engineering behind musical instruments. Working with an experienced Luthier, students designed and built a simple stringed instrument, such as a mountain dulcimer or banjo; and Cooking with Math allowing students to explore science while preparing meals using measuring devices, mixing ingredients that chemically interact, discussing food allergies, and exploring organic foods. The upcoming summer camps planned for 2014 include: Mobile Technology teaching the fundamentals of games and design using smartphones and mobile devices; Robotic Engineering exploring how to become a robotics’ engineer while designing robots using LEGO MINDSTORMS® technology and robotic tools; and Scientific Chef working with an expert Chef and learning how delicious food is grown, prepared, and enjoyed. Indulge your passion for cooking, baking, and learning the math and science behind how healthy food is enhanced during the cooking process.